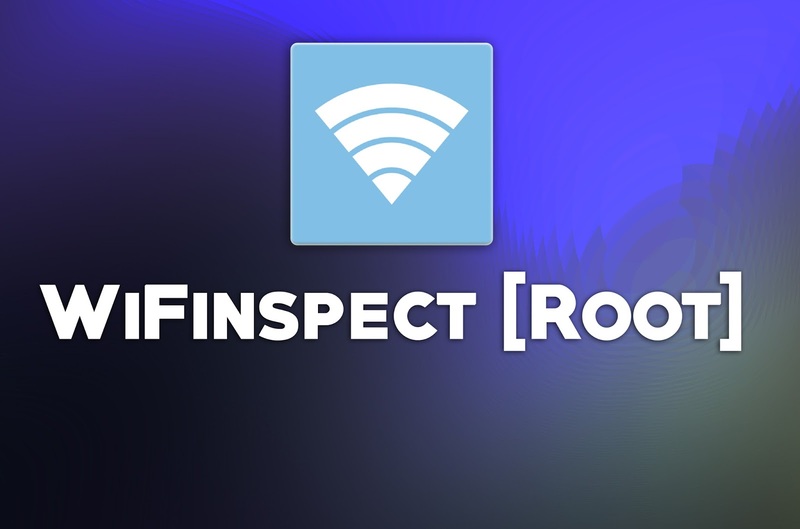 WiFinspect is an android app for computer security researchers and network administrators. It has a lot functions such as UPnP Device Scanner, Network Sniffer, Pcap Analyzer, Access Point Scanner, Internal Vulnerability Scanner, External Vulnerability Scanner, Host Vulnerability Scanner, Traceroute and etc. Note: This app requires root access to perform most of it's actions. It displays the network information such as capabilities, frequency, channel, access point's MAC address, signal strength, DHCP server address and etc (see the image below). This function enables you to scan the network for UPnP devices -- displays the device names and local IP addresses. It lists all the devices on the network -- displays the device's local IP addresses, host names, MAC addresses and vendor names. You can do a complete scan or a partial scan. If you do a complete scan, the app will scan the entire address space of your network. But if you do the partial scan, it will only scan your device's IP address/24. If you don't get the last sentence, I mean "....IP address/24", now I'm going to tell you what it is. Let's assume your IP address is 192.168.1.100. That is, in the partial scan mode, the app will only scan within a particular range. REMEMBER: This is an invasive scan, that means it can be detected by intrusion detection systems. So be careful when you run this scan on networks that you don't own. After the scanning, you probably get a list of devices as shown in the image below. If you tap on an IP address, you will get a list of options -- host information, port scan, host vulnerability scan, traceroute, ping and sniff on host. Host Information: It displays device MAC address, operating system, vendor, hostname, workgroup and device name. Port Scan: Lists all the open ports and running services by using nmap. If you want to see the Metasploit results for the device operating system and port, just tap on a port. Host Vulnerability Scan: I don't think this feature is working, it shows an error instead of possible vulnerabilities. Traceroute: Allows you to traceroute to a host by using nmap. Ping: It shows how long it takes for packets to reach a host. Sniff on Host: Captures all the traffic to and from a host. It allows you to capture and save all the network traffic. The network sniffer component uses tcpdump to sniff on all packets in the network. If you don't know what is tcpdump, please refer https://en.wikipedia.org/wiki/Tcpdump. The saved traffic files, a.k.a Pcap files can be analyzed using the built-in Packet Analyzer component, or you can use the Wireshark. It displays all the Pcap files, and uses jNetPcap to parse them. To analyze a Pcap file, tap on it and then select a particular analysis. In my opinion, this is actually most useful component in the app. This component allows you to do default password tests, security tests and internal/external network vulnerability scans. Access Point Default Password Test: This test checks if the a set of default passwords match the one to your access points control panel. If the password matches, you should change your password as soon as possible. Access Point Security Test: This one evaluates the access point security. Access Point Scan: Displays all the access points within the view of your device. Internal Network Vulnerability Scan: It allows you to find vulnerabilities in the internal network. External Network Vulnerability Scan: Finds flaws in the external network. Note: The vulnerability scans are CPU intensive, and uses up battery quicker. where is the download link please ! ! ! !